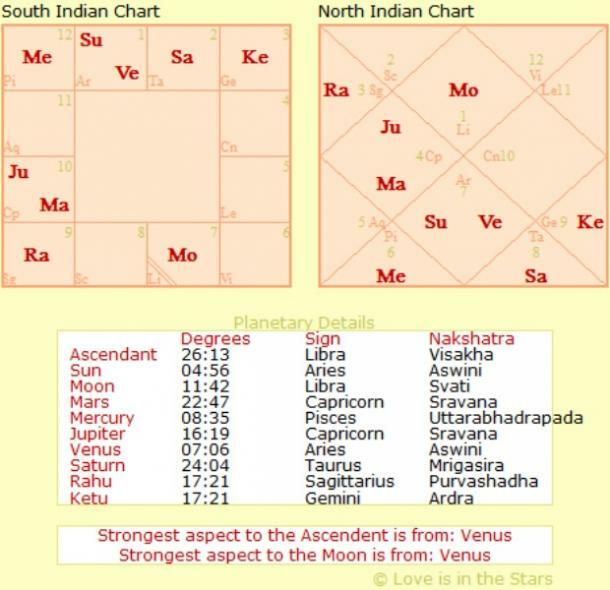 According to your Vedic astrological birth chart. The most significant "good guy" among the planets is about to switch signs in the heavens for the first time in over a year, and this should be beneficial for many of us. In fact, Jupiter's October 2018 transit should be helpful to all zodiac signs, and even to the whole world in certain ways. According to the calculation of Vedic astrology — which differ from those of Western astrology by almost an entire sign — Jupiter, the largest planet in the Milky Way galaxy, leaves Libra and enters Scorpio on October 11, where it will remain until November 2019 (other than for a brief 24 days in late March). What does Jupiter in Scorpio mean for your relationships and finances? Jupiter is said to rule abundance, banking, finances, and religion, as well as marriage and husbands. When a planet is switching signs, the aspects of our lives ruled by that planet tend to become turbulent. Fortunately, in the case of Jupiter, this disruption won't last long. From now until October 17, which is when Jupiter fully settles into its new celestial abode, world markets might react. In fact, when Jupiter switched signs in July of 2015, things got pretty dramatic — the New York Stock Exchange spent a full day shutdown! Jupiter is powerful in Scorpio, so world economies and markets should expand nicely, especially digital currencies. Scorpio is the natural sign of the esoteric and occult, so spiritual movements may experience nice expansion as well. So, let’s all get rich and enlightened, right? On an individual level, Jupiter will benefit whichever part of your chart it will go through, meaning the house Scorpio happens to be in for you, along with whichever planets may be there. Your personal horoscope is complicated and involves far more than any one influence, but Jupiter's energy is so important there are some general things that can be said. In Vedic astrology, we interpret the effects planetary motions on your life not by looking to your Sun sign, but instead, from your rising, aka Ascendant, Moon sign. To determine your Ascendant and/or Moon sign, take a moment to visit this Vedic astrology birth chart calculator and look in the "Planetary Details" box. Then, read on for insight into what you can expect and how to make the most of Jupiter in Scorpio and get that big planet's mojo working for the highest good in your relationships and finances. Note: You can read for your Sun sign, too, but the information will be especially relevant to your Ascendant. This is a positive time to receive more help than usual from your partner, or to receive financial aid in the form of passive income such as inheritance, loans, royalties, insurance, etc. Be careful of overdoing it or overworking yourself. Jupiter is sitting in your house of partnership now, so if you're single then get out and mingle! If you're already in a relationship or married, you may notice a lift in your union and that your partner is having more success and happiness now. This is a good time to overcome any obstacles you may be facing. Improve your health, make gains on any debts you have, get a leg up in any legal battles, and be of greater service to others. This is a sweet time for romance, happiness in terms of children (your own or other people's), creative and artistic pursuits, and socializing in general. This is an excellent time to buy a new vehicle, upgrade your home or landscaping, and spend time with your family. This is a great time to dust off any writing projects and take another crack at them, spend time with friends and neighbors, and enjoy short trips. This is an excellent time to make more money and to have more romantic attention. If you're in a relationship, spend more time together, as it will go well. If you're single, this is a nice time to meet someone. This is a good time for your spiritual and romantic life. Your optimism and health should be greater than in the last few months. Your spiritual life can improve now. This is an excellent time for foreign travel. Your increased optimism can lead you to have greater expenses so be careful of that. You're happy doing your own thing and may be less social than usual. Congratulations! You enjoy greater vitality and finances, more support from friends and powerful people, and an increase in prestige, power, and authority. This is an excellent time to join groups or organizations. This is a time of improved career opportunities. If you're wanting a new job, a promotion, or to lead a big project, now's the time to go for it. This is a lovely time to travel, expand your spiritual or academic interests, enjoy your relationship or seek a new one. You seem to have an angel on your shoulder, assuring your success in all areas. It’s my sincere hope that Jupiter helps us all find peace, prosperity and improved relationships in the coming thirteen months. May God and all of his planets and stars (especially you-know-who!) shower you with love! RELATED: Saturn Just Went Direct — It's Time To Get What You Want Out Of Love & Life! Carol Allen is a Vedic astrologer who believes that when it comes to your personal and emotional relationships, looking to a man's Sun sign in relation to yours won't explain how you'll relate. You can learn more about this and so many other amazing truths at the intersection of astrology and love in Carol's free newsletter.